Holding onto power isn’t easy. 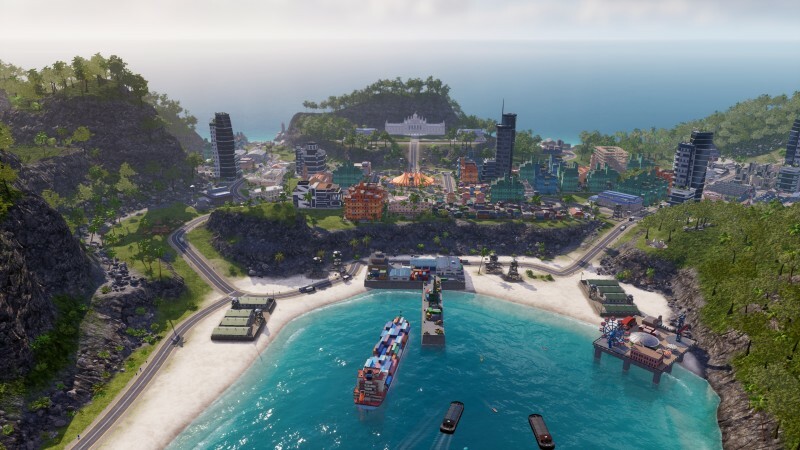 As El Presidente of a remote island nation, Tropico 6 asks you to oversee your nation’s economy, military, and tourism board. While managing the needs of an ever-growing population is complicated, keeping everyone happy is even harder. As a nearly all-powerful ruler, you determine your country’s layout, dictating the location of businesses, public transportation routes, and the kinds of crops grown at each plantation. As you build, your nation slowly marches through the decades, and each era introduces better technology. 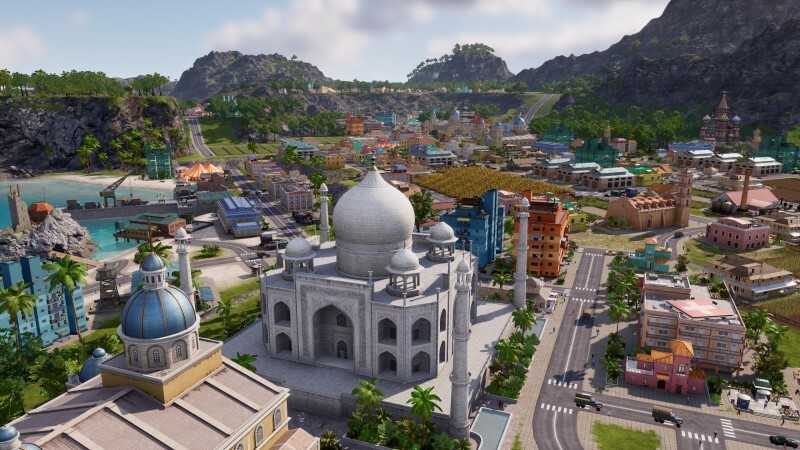 Researching blueprints for new buildings and tourist traps is a good carrot on a stick that keeps you playing. 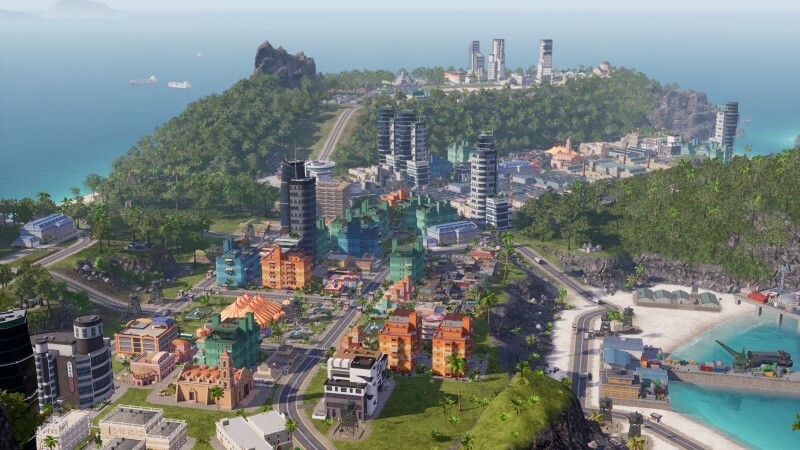 For example, I couldn’t wait to unlock bridge and tunnel technology so I could connect multiple islands together and cut down on commuter time, and I enjoyed watching my city slowly web across the island in an ever-evolving sprawl. 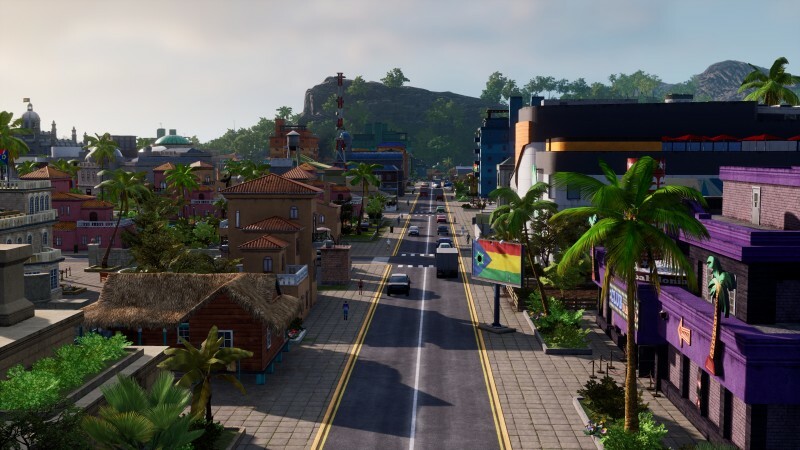 Unlike previous Tropico games, the lives of your citizens are fully simulated, which means every islander has their own goals, needs, and schedule. This may sound neat, but it means your city’s production is dictated by the whims of your citizens. 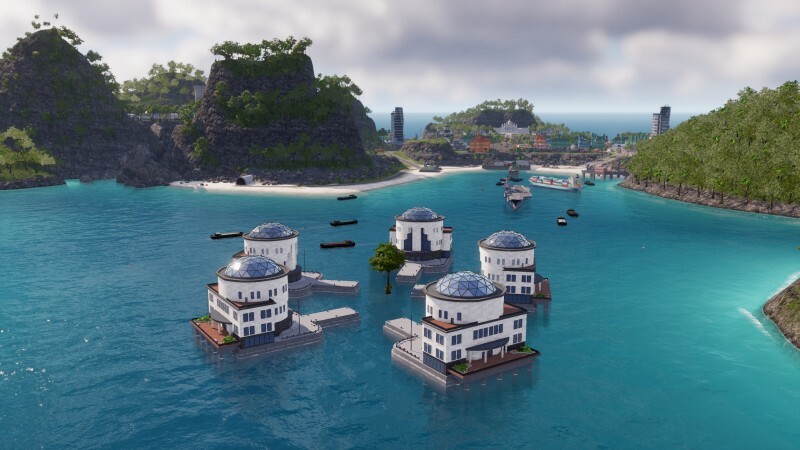 Tropico 6 tries to automate the output of your farms and factories, so you don’t have to worry about the details, but I often noticed that activity had halted because everyone in a building would suddenly take the week off. Building queues also stack up quickly, because your construction teams take a long time to move from one job site to the next. It’s a good thing you can speed up the clock, but even on the fastest setting, I still spent too much time waiting for things to happen. Your population is also very judgmental; they have their own opinions on how you should run the country. 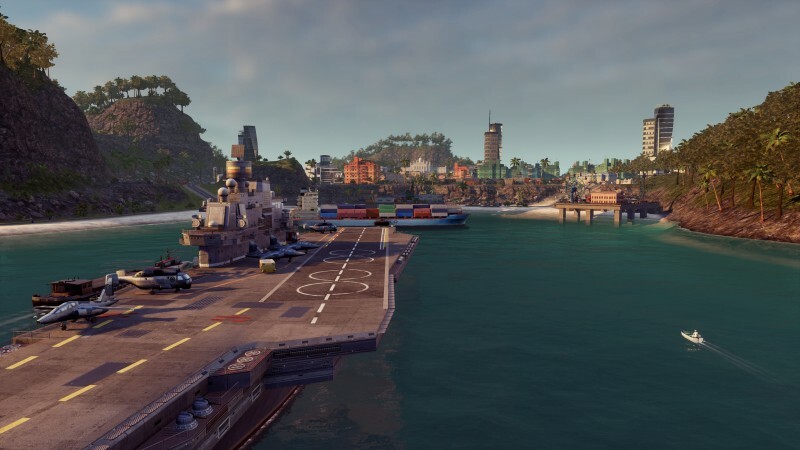 You can follow troublemakers around the city, fire them from their jobs, and even put out hits on would-be revolutionaries. But dissenters rarely travel alone, so you spend most of your time dealing with political groups. 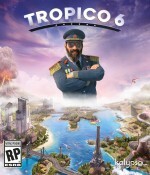 Tropico’s various sects – such as the environmentalists, religious right, and capitalists – won’t always agree with your decisions, and if you ostracize too many people, you’re likely to lose your next election, ending the game. 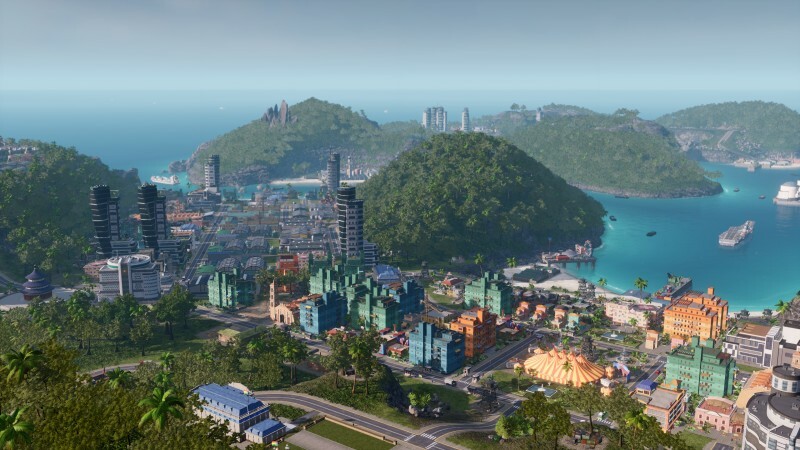 Ultimately, these power dynamics offer some welcome strategy to a city builder, and I got a sick thrill when tinkering with election results to boost my approval ratings. 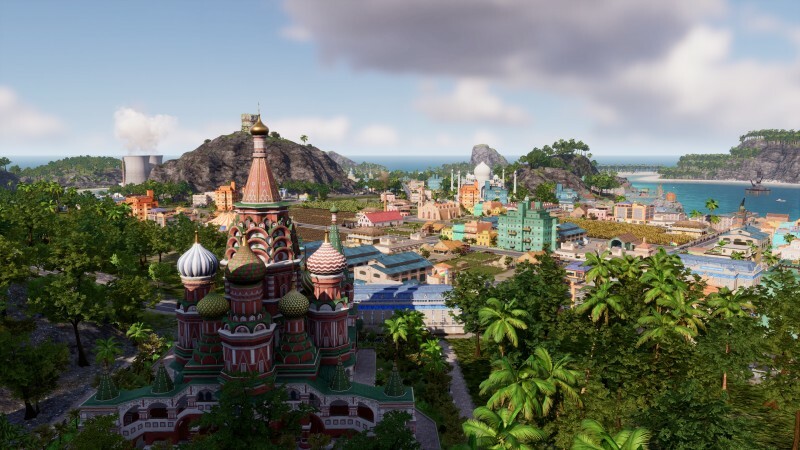 If you’re ever at a loss for things to do in Tropico 6’s sandbox, its campaign missions direct you through several story-themed missions. 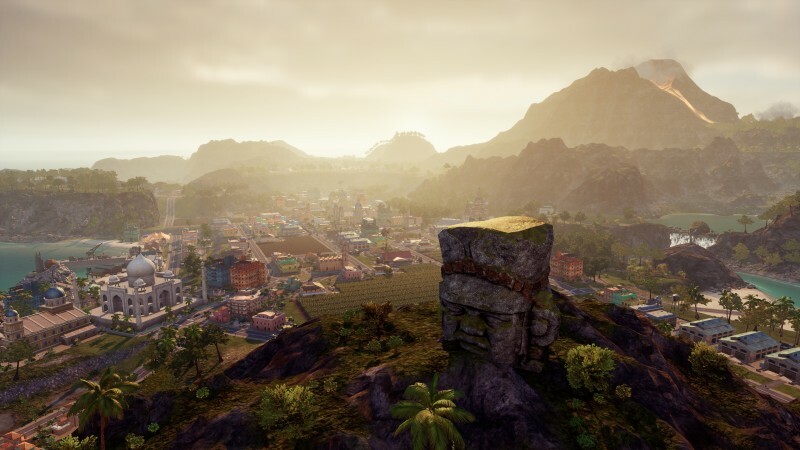 These narratives aren’t complex, but they give added purpose to your construction efforts, and I enjoyed the light story moments, such as smuggling gold-filled coconuts out of the country to fund a revolution, or hunting for ancient treasures inside an active volcano. 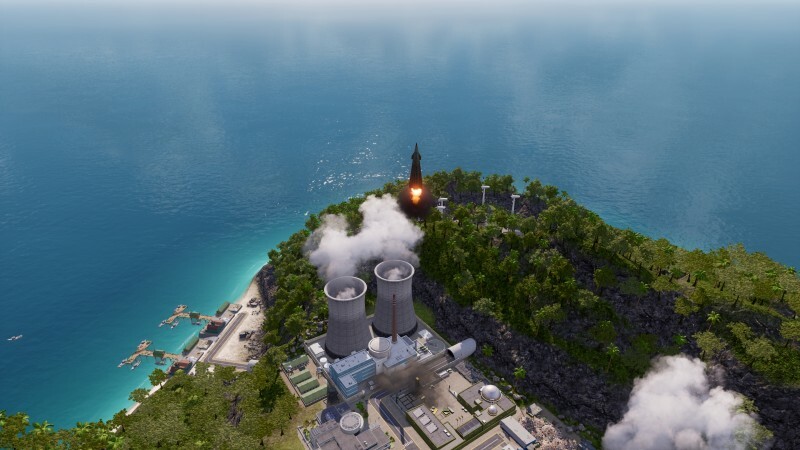 Sadly, the gameplay doesn’t change much over the course of these campaigns, so after a few hours I began to feel like I was doing the same basic things, rebuilding the same infrastructure over and over. 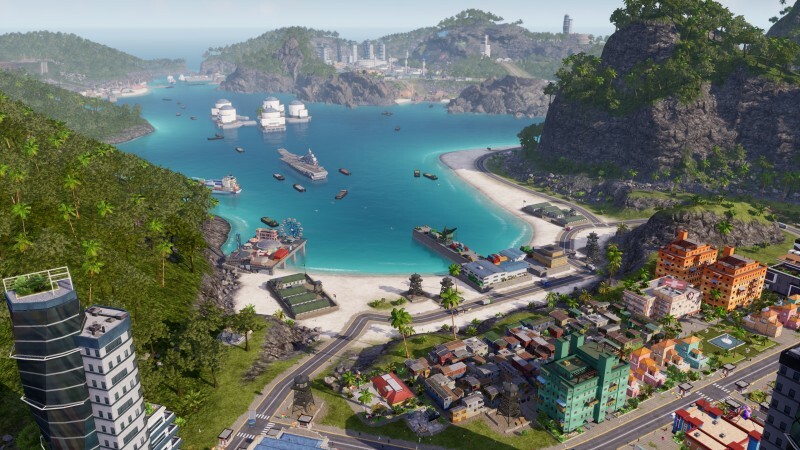 Tropico 6 manages the fine details fairly well. You can look at heat maps that show you everything from the best place to grow corn to where your citizens have limited entertainment options. A detailed almanac shows you what percentage of your subjects are poor, or how many of them support liberal regimes. 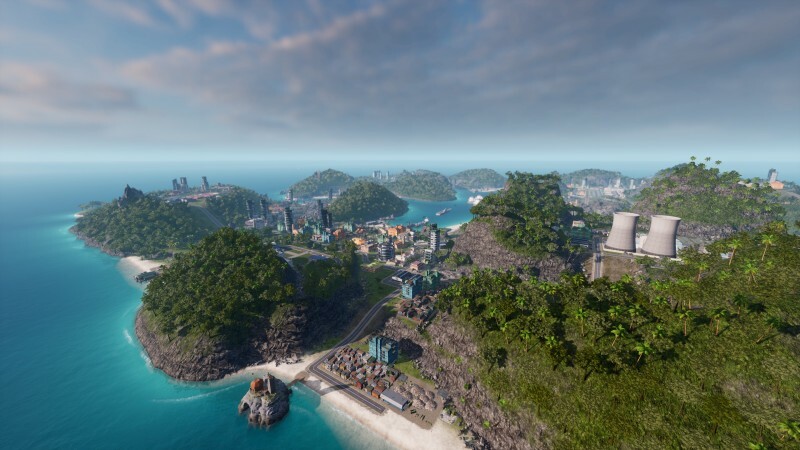 Finally, you can pore over a range of trade routes that offer various returns on investment. 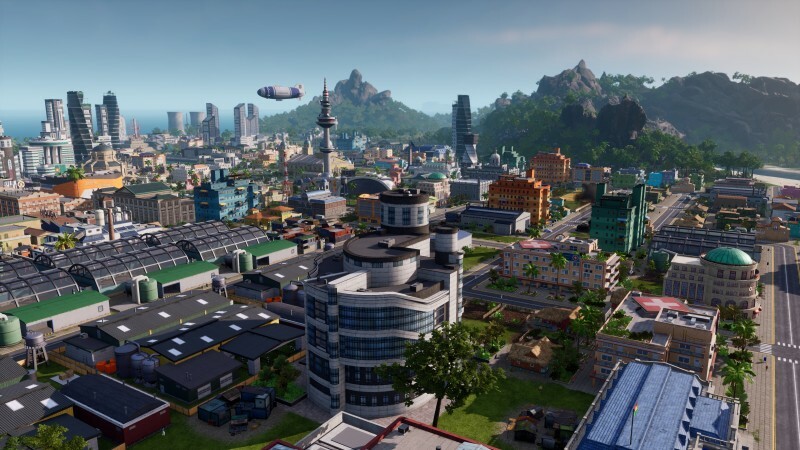 Overall, these tools handy when you want to maximize your economy and make a sustainable metropolis with a happy population, but examining spreadsheets feels like work. 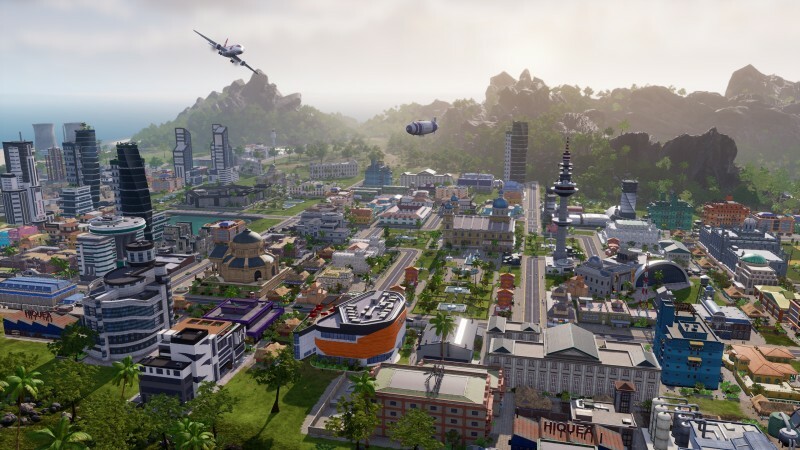 Naturally, building and managing a city should take work, and Tropico 6’s work can be rewarding. Unfortunately, some accomplishments are bogged down by the slow pace of building and production and a repetitive campaign. You can build an idyllic getaway, but you can’t walk down these streets without tripping over a few potholes.